Brilliant gold color. 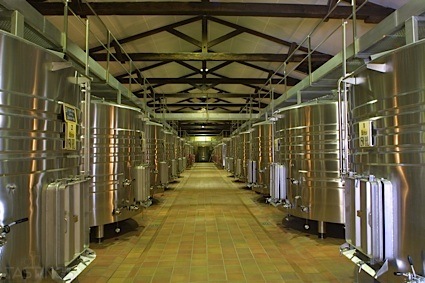 Fruity aromas and flavors of honey baked apple and pear tart and spiced melon with a supple, tangy, fruity sweet medium body and a smooth, interesting, medium-length finish displaying accents of spicy peach nectar, sultana, and nuts finish. A delicious dessert mead with great fruitiness and acidity reminiscent of a late harvest dessert wine. Bottom Line: A delicious dessert mead with great fruitiness and acidity reminiscent of a late harvest dessert wine. 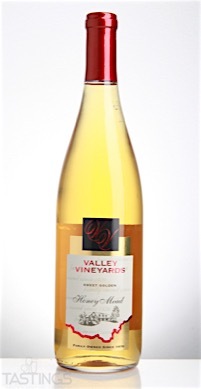 91 • Valley Vineyards Honey Mead 11.5% (USA) $15.99. Valley Vineyards Honey Mead rating was calculated by tastings.com to be 91 points out of 100 on 12/14/2016. Please note that MSRP may have changed since the date of our review.